This TI Verified Design provides the theory, component selection, TINA-TI simulations, Verification & Measurement Performance, Altium Schematics, PCB Layout for automotive Battery Pack monitoring application. The design uses a automotive AEC-Q100 qualified 12-bit, 4-Channel, 1Msps SAR ADC, ADS7950-Q1 with isolated system hardware design. This isolated input design with four-wire shunt resistor is well suited for such applications using high and low voltage automotive battery packs. It can be used to monitor the current from -5A to +5A and extremely high voltage (up to 750V) of battery pack. 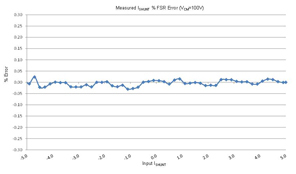 The TINA simulations for the input and reference drive verify the design solution and componsent selection, and the measured results demonstrate the performance of the precision design.